Narrow angle closure glaucoma occurs when there is increased pressure in the front eye chamber. It is caused by a blockage of eye fluid circulation. With the normal eye, aqueous humor fluid is continually produced and drained. If any of the eye channels are blocked, fluid doesn’t normally drain, and pressure within the eye rises. The structures that allow for proper drainage are located between the peripheral iris and the peripheral cornea. Its angle contains the trabecular meshwork that acts as a filtration system for the drainage of fluid. In angle-closure glaucoma, the iris is pushed up against the drainage channels and blocks fluid flow. While less than 10 percent of glaucoma cases are angle-closure, those with farsightedness and those who are of Asian descent are more at risk for angle-closure glaucoma than others in the population. The symptoms of narrow angle-closure glaucoma include blurry vision, seeing halos, headaches, sudden eye pain and nausea. Glaucoma treatment for narrow angle closure glaucoma varies. It’s important to note that there is no curative medical treatment for this eye condition. An optometrist in Maple Ridge may prescribe eye medications to temporarily reduce intraocular pressure, but narrow angle closure glaucoma must be treated with either incisional surgical therapy or laser therapy by an ophthalmologist. Laser therapy is the choice treatment option and is done with an argon laser or a YAG laser. It’s known as a laser iridotomy. The laser beam makes a tiny hole in the iris to better drain the anterior and posterior chambers of the eye. Sometimes, a laser gonioplasty is used in conjuction with a laser iridotomy. With early detection and treatment, the prognosis for narrow angle closure glaucoma is favorable. An eye doctor performs several tests to diagnose angle-closure glaucoma. The tests include gonioscopy and tonometry. The gonioscopy test determines if the angles are opened, closed or narrowed. Tonometry is used to measure the intraocular pressure. If the angles are determined to be narrow, we will arrange a timely and appropriate consultation with an eye specialist: an ophthalmologist, who will assess if laser or incisional therapy is the appropriate treatment. 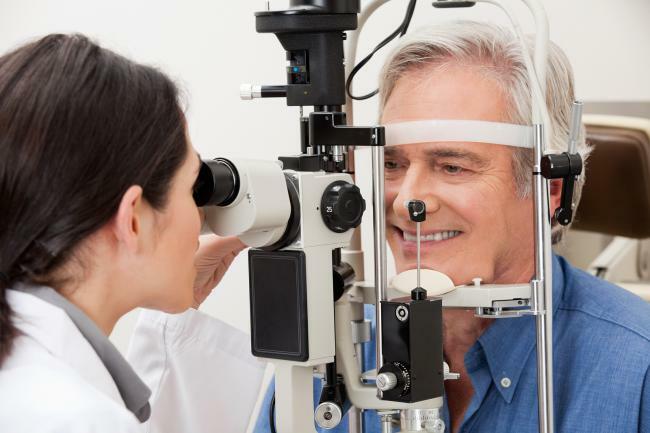 Maple Ridge Eye Care is your optometrist in Maple Ridge for the early detection of narrow angle-closure glaucoma and timely referral. After surgery, our optometrists will monitor your progress and are always happy to answer any of your post-operative questions. If you’re experiencing any of the symptoms associated with narrow angle-closure glaucoma, call us and schedule a one-on-one consultation. We’ll help you with the next step to ensure the health of your eyes.